Stone masonry is one of the most traditional architectural works. The Greeks and the Romans already used it to build walls to divide spaces. This system mainly consists on building structures from individual units, which are commonly laid in and bound together. Nowadays, the materials for masonry constructions are very varied, being stone one of the most popular ones. 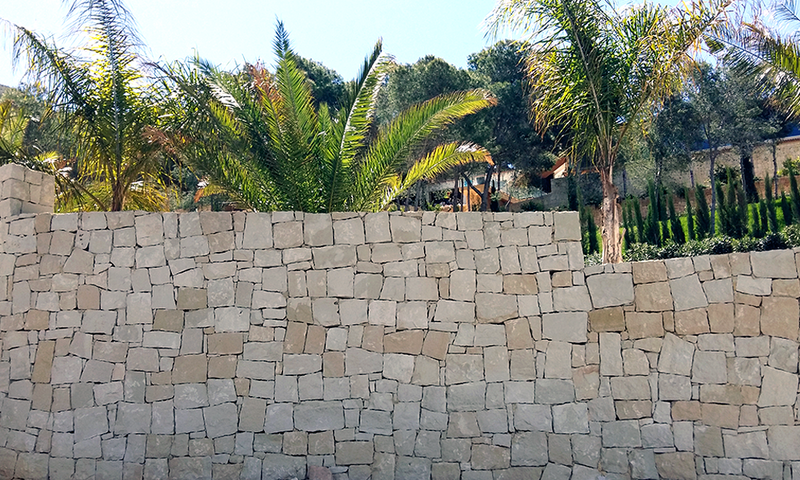 Natural stone masonry walls can be as tall as you want. Besides, natural stone units can be or not bordered and cut. Its arrangement, size and aspect will decide the type of bonding. However, it is important to mention that masonry walls are normally characterized by its irregular form and size. There are several masonry types, depending on if a bonding product has been employed. Nowadays, concrete and mortar are the most employed materials due to its resistance. In the past, however, the clay -among other things- was essential to make walls consistent (ordinary masonry). On the other hand, to improve walls stability rubbles can be employed. These are little stones that are placed on wholes to secure the main pieces position. At the present time, natural stone masonry is commonly used in the construction of building facades and walls. It can even be suitable for creating elegant flowerpot stands, planters or fountains. For inner spaces, masonry walls are warm and rustic, perfect for single family homes as cottages and houses in the country. Masonry projects can be as varied as you can imagine, so creativity knows no bounds. 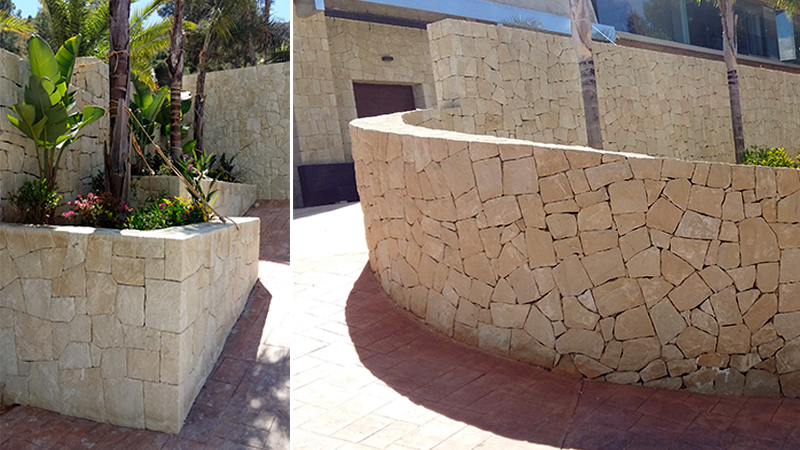 The masonry system also allows the reuse of natural stone excesses from other projects. It is, therefore, an interesting way to output this amazing and resistant material, which can be used to shape rustic and natural wall, among other elements. Bateig has diverse natural stone masonry projects and its results are always characterized by elegance and resistance.